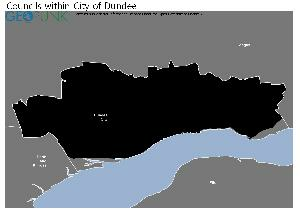 The area shaded blue on the map represents the extent of Dundee City Council. The map pin represents the location of the council offices. Telephone Number 01382 434 000??? ?